Bill Baton represents pharmaceutical companies in complex, often high-profile, patent litigation. Bill concentrates his practice in Hatch-Waxman ANDA litigation and protecting the intellectual property of branded pharmaceutical companies. He currently serves as New Jersey litigation counsel in more than three dozen patent cases for approximately 20 major pharmaceutical companies. Bill is one of the leading members of Saul Ewing Arnstein & Lehr's patent litigation team, which was recognized in 2018 as one of the top five “Go-To” law firms for patent litigation in a report by Lex Machina. Bill’s team was also ranked fourth, nationally, for the number of cases filed on behalf of patentees between 2015 and 2017, and fourth, nationally, for the number of cases filed on behalf of ANDA plaintiffs between 2009 and 2017. Bill is vice chair of Saul Ewing Arnstein & Lehr's Life Sciences & IP Litigation Group. Other representations include Felix the Cat Productions v. California Clock Co. (SDNY), a highly-publicized trademark/patent dispute involving world-renowned feline images. 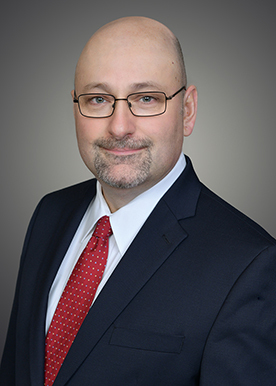 Bill’s diverse experience includes representing insurers in coverage disputes involving commercial general liability, professional liability and life insurance products, and co-authoring a chapter in the American Bar Association's Handbook on Additional Insureds, which published its Second Edition in 2018. He has also litigated disputes involving former employees and contract cases involving intellectual property assets. Bill devotes a significant amount of time to public service as founder and President of Stad’s Crabfest Inc., a New Jersey Nonprofit Corporation with recognized 501(c)(3) status devoted to raising awareness and enhancing the quality of life of those affected by cancer. His dedication to pro bono service includes a first-chair trial victory in the precedent-setting case, Hancock Assoc. LLC v. Gomez, which was featured among "Decisions of Interest" in the New York Law Journal. Bill practices in the U.S. District Court for the District of New Jersey, the U.S. District Courts for the Southern and Eastern Districts of New York, the U.S. Courts of Appeals for the Second and Third Circuits, the U.S. Court of Appeals for the Federal Circuit, and the state courts of New Jersey and New York. Representation of Indivior Inc., Indivior UK Limited, and Aquestive Therapeutics, Inc. against Dr. Reddy’s, Alvogen, Par, and Teva in Hatch-Waxman patent litigation involving Suboxone® sublingual film brand drug product, which treats opioid dependency (annual worldwide sales totaling more than $1 billion). In these hotly-contested matters, Indivior and Aquestive were able to enjoin at-risk launches of generic product by obtaining a TRO against Alvogen and both a TRO and a preliminary injunction against Dr. Reddy’s, as well as defeating three post-TC Heartland transfer motions brought by Dr. Reddy’s, Alvogen, and Teva. Representation of Sumitomo Dainippon Pharma Co., Ltd. and Sunovion Pharmaceuticals Inc. against Teva, Emcure, and InvaGen in Hatch-Waxman patent litigation involving the Latuda® brand drug product, an anti-psychotic drug, which treats schizophrenia and depression in adults with bipolar disorder (annual sales totaling approximately $1 billion). The case concluded after a favorable Markman ruling forced the defendants to concede infringement and validity of Sunovion's patent. The court’s ruling was appealed to the Federal Circuit and was affirmed in April of 2018 in favor of Sumitomo and Sunovion. Representation of Celgene Corporation against Mankind, Torrent, Glenmark, MSN, Teva, Prinston, Emcure, Macleods, Aurobindo, Hetero, Cipla, Alkem, Zydus, Unichem, Dr. Reddy’s, Amneal, Pharmascience in Hatch-Waxman patent litigation involving the Otezla® brand drug product, which treats moderate to severe plaque psoriasis (annual worldwide sales totaling more than $1.5 billion). Representation of Helsinn Healthcare S.A. and Roche Palo Alto LLC against Teva and Dr. Reddy's in Hatch-Waxman patent litigation involving the Aloxi® brand drug product, an intravenous therapy for the prevention of chemotherapy-induced nausea and vomiting (annual sales totaling more than $600 million). In the case against Teva, following a 12-day bench trial, the court issued a 167-page opinion and judgment in favor of Helsinn on infringement and validity, upholding Helsinn's patents over multiple claims of obviousness and the on-sale bar provisions of the America Invents Act, which was an issue of first impression due to changes in the AIA. The trial decision was reversed on appeal at the Federal Circuit. After granting a writ of certiorari, the U.S. Supreme Court affirmed the Federal Circuit in early 2019. Representation of Mitsubishi Tanabe Pharma Corp., Janssen Pharmaceuticals, Inc., Janssen Pharmaceutica NV, Janssen Research and Development, LLC, and Cilag GmbH International against Aurobindo, Macleods, InvaGen, Prinston, Dr. Reddy’s, Hetero, Apotex, MSN, Laurus Labs, Indoco, Zydus, Sandoz, Teva, and Lupin in Hatch-Waxman patent litigation involving the Invokana® and Invokamet® brand drug products, which treat diabetes (annual sales totaling more than $1 billion). Representation of Celgene Corporation against Par, Teva, Hetero, Aurobindo, Apotex, Mylan, Synthon, and Breckenridge in Hatch-Waxman patent litigation involving the Pomalyst® brand drug product, which treats multiple myeloma (annual worldwide sales totaling approximately $2 billion). Representation of Merck Sharp & Dohme Corp. in a trial victory against Sandoz Inc. in Hatch-Waxman patent litigation involving the Emend® IV brand drug product (market value of judgment in excess of $1.5 billion). Emend® IV is an intravenous therapy for the prevention of chemotherapy-induced nausea and vomiting (annual sales totaling more than $400 million). Following a bench trial that took place over the course of two weeks – and with just two days to spare before the 30-month stay expired – the court upheld the validity of Merck's compound patent, finding that its claims were valid and infringed. Representation of Sunovion Pharmaceuticals (formerly Sepracor Inc.) against 10 generic pharmaceutical manufacturers in Hatch-Waxman patent litigation concerning the Lunesta® brand drug product, a highly successful sleep aid (annual sales totaling approximately $1 billion). The case concluded at the Federal Circuit with a precedent-setting judgment of infringement and dismissal of all inequitable-conduct defenses in favor of Sunovion. Prior to the appeal, the district court issued one of the first post-Exergen decisions dismissing a generic drug manufacturer's inequitable-conduct defense. Representation of Jazz Pharmaceuticals against Roxane, Amneal, Par, Ranbaxy, Watson, Sun, Wockhardt, and Lupin in Hatch-Waxman patent litigation involving the Xyrem® brand drug product, which treats cataplexy and daytime sleepiness in narcolepsy patients (annual sales totaling approximately $130 million). Representation of Supernus Pharmaceuticals Inc. in two trial victories against Actavis and Twi Pharmaceuticals in Hatch-Waxman patent litigation involving the Oxtellar XR® brand drug product, a once-daily antiepileptic drug indicated for adjunctive therapy for the treatment of seizures in adults and in children 6 to 17 years of age (annual sales totaling approximately $10 million). Following two separate bench trials, the court issued judgments in favor of Supernus on infringement and validity. Both trial decisions were appealed to the Federal Circuit and were affirmed in favor of Supernus. Representation of Vivus against Actavis and Dr. Reddy's in Hatch-Waxman patent litigation involving the Qsymia® brand drug product, an extended-release weight loss drug that uses a combination of phentermine and topiramate (annual sales totaling approximately $20 million). U.S. Supreme Court issues decision on patents involving "Laws of Nature"